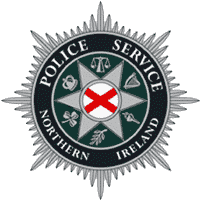 The PSNI produces statistics on the number of anti-social behaviour incidents recorded by the police in Northern Ireland. Statistics are published on a financial year basis and a comparable data series has been available since 2006/07. These statistics are collected in accordance with the National Standard for Incident Recording (NSIR). The statistics contained in these datasets reflect the number of anti-social behaviour incidents recorded by the police. The incident data are output from a command and control system which is used to respond to calls for service from members of the public. Each incident is closed off using codes and definitions set out in the National Standard for Incident Recording (NSIR), including codes identifying anti-social behaviour, in order to provide a common approach to classify the broad range of calls for service received. NSIR is followed by police forces in England, Wales and Northern Ireland. As these figures only relate to those anti-social behaviour incidents reported to the police (and may exclude those incidents reported to other agencies, such as local councils), they only provide an indication of the true extent of anti-social behaviour. Data has been compiled since the NSIR was introduced in April 2006. While national guidance was revised in April 2011, the overall levels before and after this change are sufficiently comparable for a time series of figures dating back to April 2006 to be made available. Further details on definitions of anti-social behaviour are available at https://www.psni.police.uk/globalassets/inside-the-psni/our-statistics/anti-social-behaviour-statistics/asb_definitions_introduced_april_2011.pdf.